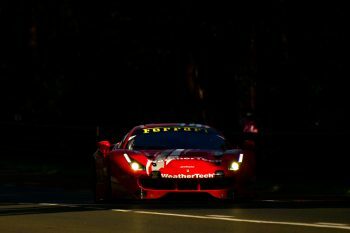 Risi Competizione and Keating Motorsports combined to make the GTE-Am class podium at the 24 Hours of Le Mans. The trio of Ben Keating, Jeroen Bleekemolen and Luca Stolz overcame a couple in-race obstacles to finish third in their No. 85 Ferrari 488 GTE. Both Bleekemolen and Keating made it out of quick off-course excursions into the gravel to keep the car running. Typically solid pit work from the Risi crew kept the car in contention all race. Bleekemolen completed more laps than any other driver in the field. This is Keating’s first Le Mans podium finish in four attempts, and Stolz’s first on his debut. For Bleekemolen, Sunday’s result marked a return to the Le Mans podium for the first time since his LMP2 class win in 2008. Keating added, “I am excited to have a podium here, excited to be in position to have the podium here. I still have a hard time getting over the mistake that cost us second, and I know Jeroen has been giving himself a hard time for 22 hours for the mistake for a chance to win it, but a podium at Le Mans is special. I’m grateful for that and I’m grateful to be here and have a really incredible run with the team, with the car. This is the Risi team’s first podium finish this year in three overall race starts. 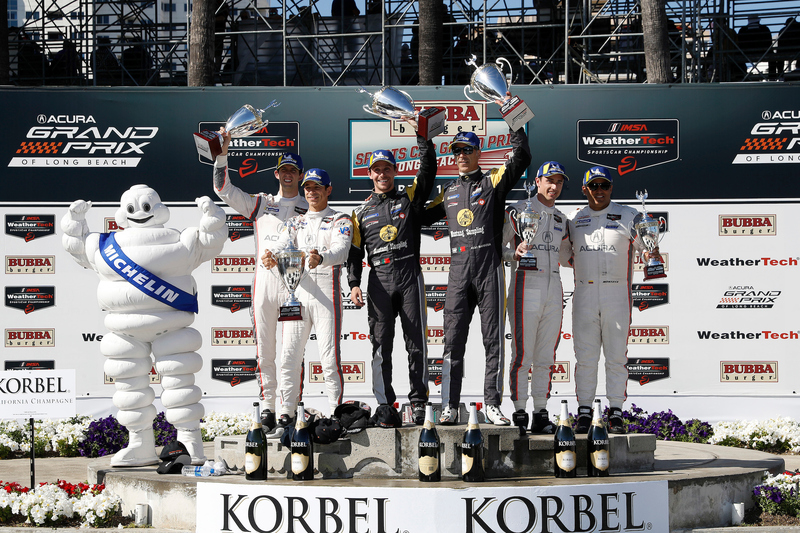 They were fifth at the first two IMSA races of the year in GT Le Mans in Daytona and Sebring. Risi hopes to return to action at a later IMSA race this season. “It’s great to be on the podium at Le Mans. It’s my third time to be here on the podium with Risi Competizione and sixth year for the team since it started in 1998,” said Dave “Beaky” Sims, Keating Motorsports/Risi Competizione Team Manager. “Today the race preparation of the car was exceptional. It didn’t miss a beat. The pit stops couldn’t be faulted. 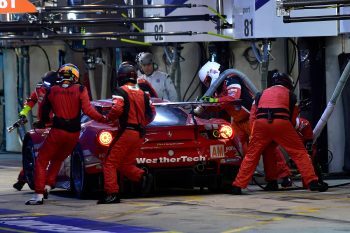 When you do that and give the drivers a car like that it makes everything work – pit stops, driving, the car has hardly a scratch on it after 24 hours, which is very unusual. Bleekemolen, Keating and Stolz are back in action in Riley Motorsports’ No. 33 Mercedes-AMG GT3 at Watkins Glen International in two weeks, in the IMSA GT Daytona class.